Show-and-tell on Ticketmaster. 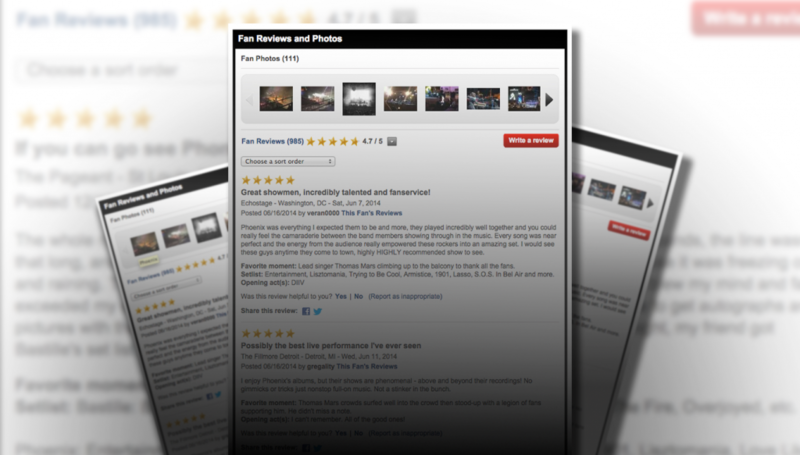 We want to see and hear about events from the people who saw them – and so do other fans! Did the band blow your mind? What songs did they play? How was the crowd at the game? Got a pic of the game-winning play? Also, sometimes we email you after the event with a link to share your review. *All reviews are subject to approval before appearing on the site. Unacceptable content includes obscenities, discriminatory language, references to other products, offers, websites, etc.